Can I, or anyone else with a photo to hand, start a Welsh Wezzit? Bydd hyn yn cymryd peth amser. I Know one thing for certain, I won't be able to spell any of the caves on this Wezzit! I realised you and Chris might get it quickly. Your turn now. Sorry Mr Whiterock! Knowing your sphere of interest obviously helps but I do vaguely recognise the scaffolding (and the rubbish unfortunately). Don't have time to dig out a photo now but should be able to post something later tonight or tomorrow. My interests now include new areas on the east bank. As long as the promised storms aren't too bad I'll be up at Pen Ffordd Goch tomorrow on a 400 mile day trip looking at surface landforms, maybe I should take a couple of bent coat hangers with me to help me solve a "Mystery"
For what it is worth I do think Lasgarn Quarry Cave is part of the bigger system, although maybe now isolated by erosion. There was a distinct cool draught coming out of it last June and July, hinting that there is some further passage still connected to it. Incidentally, a number of sites south east of Blaenavon had begun sucking in air a few weeks ago. Try this. An easy one I think. 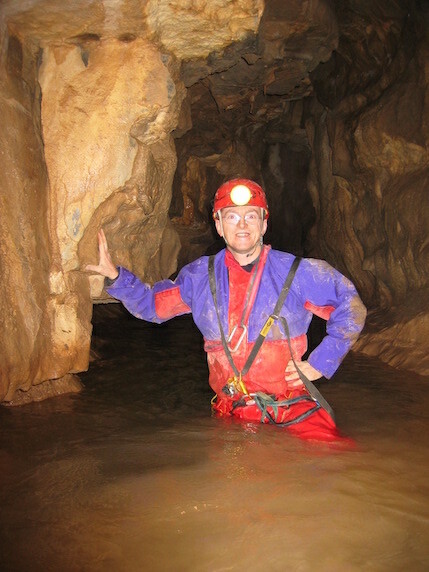 Graigwen - The last time I was at Jackdaw Quarry Cave, it was draughting inwards too. 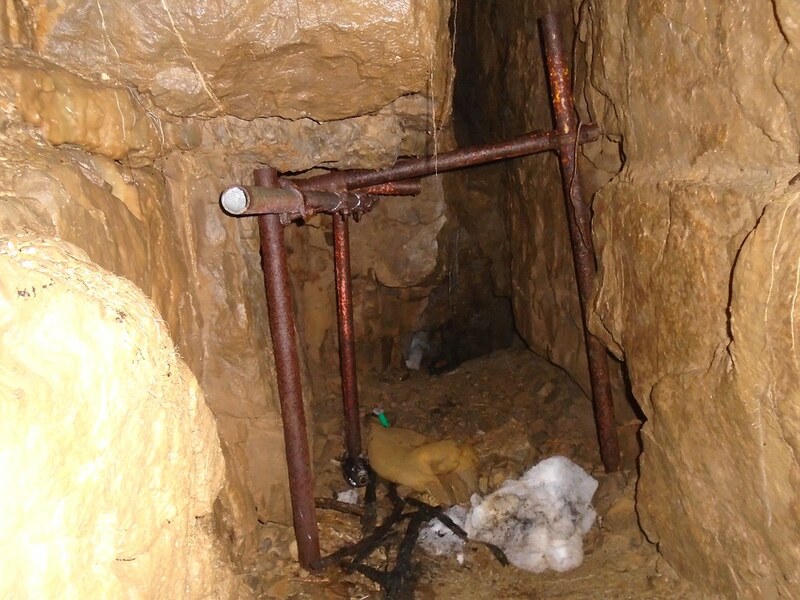 I sprayed canned smoke in the final dig/crawl to the shaft, back out towards the entrance and it reversed quickly, blew through the crawl but went up the shaft, into the boulders above towards the surface, not down the shaft, even though there was water falling. mikem has it. Twll Clogfaen, first pitch. Over to you Mike. Thought it might have been Crescent Cave below the current collapse. On my one and only trip in there I remember there being a fixed ladder. Definitely Gower. Not sure where though. Fox Hole? (The bones cave) ? Went to Minchin recently. Surprisingly large single chamber inside!. Not Pwll Dwfn. The SRT kit was a bit over the top for going down and up what ws really a very short bit of rope.